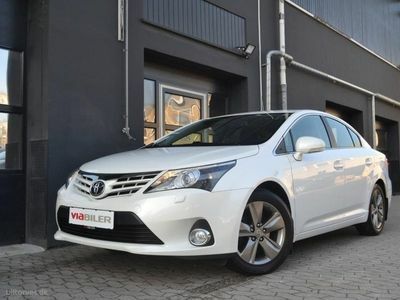 Toyota Avensis 2,2 D-CAT 150 T2 Touch stc. aut. 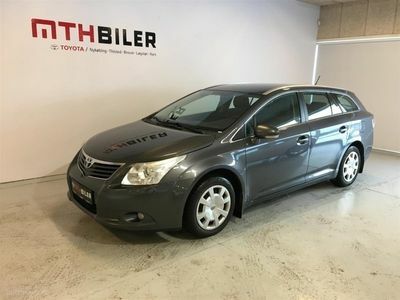 Toyota Avensis 1,8 STW MAN. 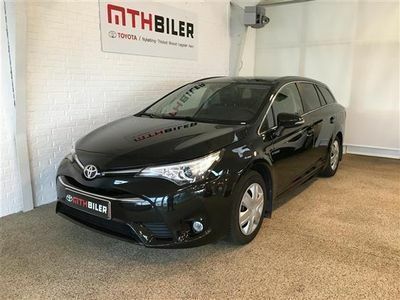 Toyota Avensis STW 1.8 STW AUT. 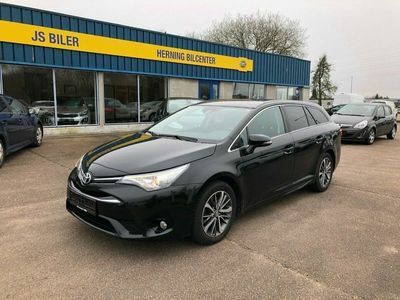 Toyota Avensis 1,8 1,8 STW MAN. 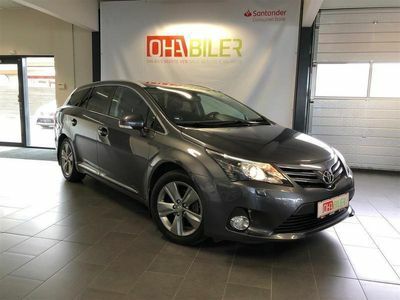 Toyota Avensis 2,0 D-4D TX stc. 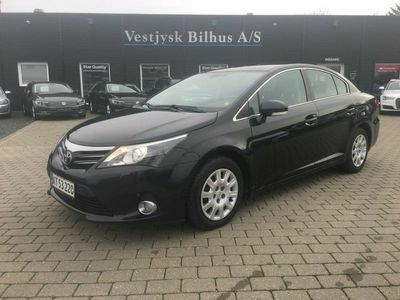 Toyota Avensis 2,0 Sol stc. 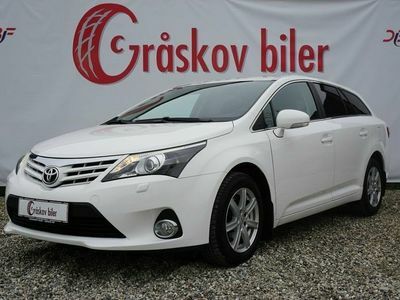 Toyota Avensis 2,0 D-4D T2 stc. 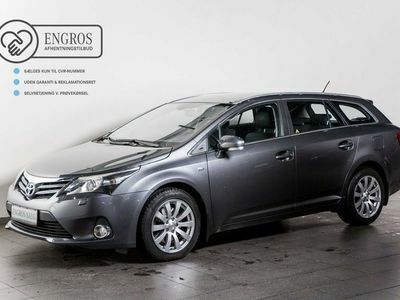 Toyota Avensis Touring Sports 1,8 VVT-I T2 Premium Multidrive S 147HK Stc 6g Aut. 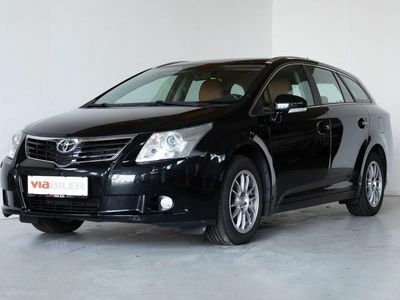 The Avensis is Toyota's generally unremarkable large family saloon. 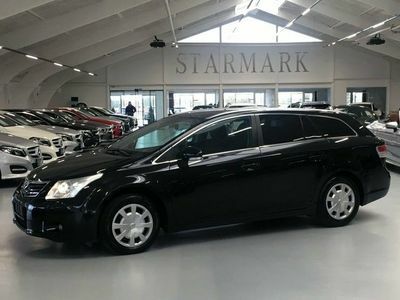 As befits its slightly sterile character sales have traditionally been bolstered by large fleet purchases by private companies. 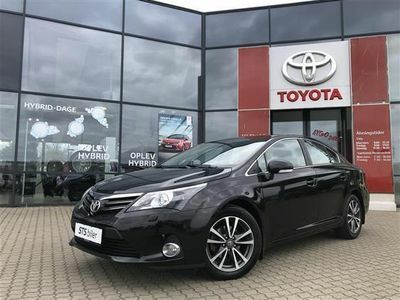 However with the economic situation over the past few years more manufacturers have been chasing the corporate deals and Toyota is being forced to compete ever more. Does it have what it takes to stand up to competition from Ford, Volkswagen and Mazda? 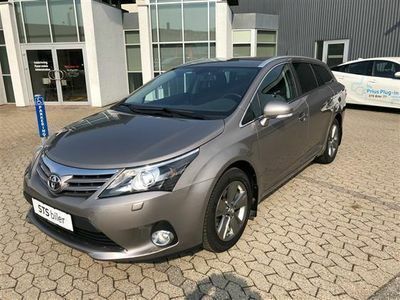 The third generation of the Avensis has been with us since 2009, and it's a definite improvement on both the styling and mechanics of earlier models. The first thing customers noted was the sleeker styling which not only looks cleaner, but has reduced the drag coefficient by a nice amount. 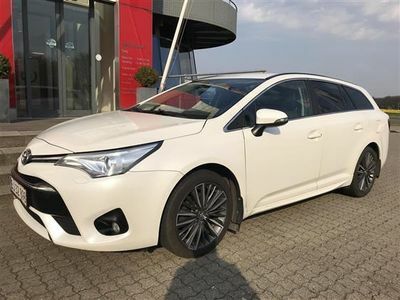 This is part of a general effort by Toyota to make the Avensis look more like the executive class cars it now often finds itself competing with. 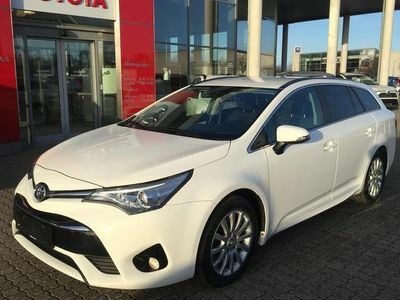 Beneath the slick styling Toyota offer a nice range of both petrol and diesel options. 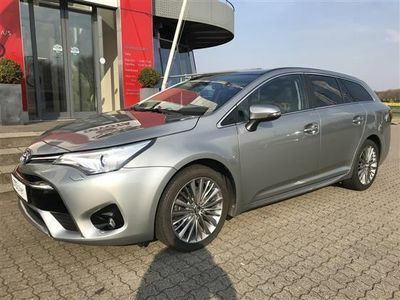 The two petrol powerplants and three diesel engines the Avensis exceed the Mondeo in power with all but the opening 1.8 litre petrol, the diesels are particularly powerful. 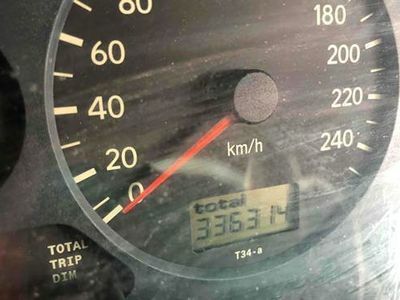 If choosing a petrol option, it's best to go for the 2.0 litre as the 1.8 litre can require a lot of work when not cruising. 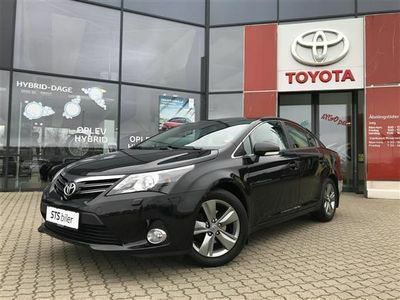 Most buyers tend to choose the diesel based on the balance between good economy and large amounts of torque. 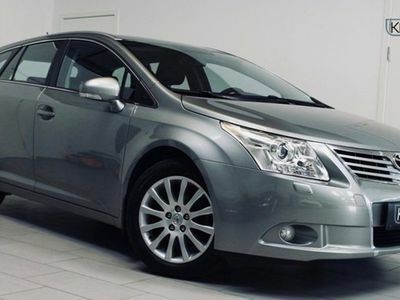 The 2.0 litre, 2.2 litre and the tuned 2.2 litre are all great choices. 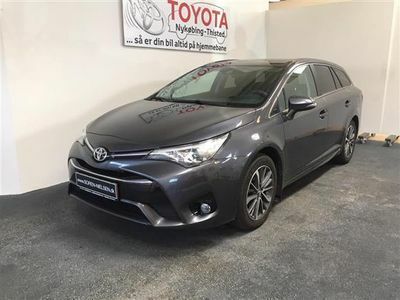 Whilst the Avensis comes with both automatic and manual transmission the latter is superior when it comes to performance, it also offers noticeable fuel economy savings too. 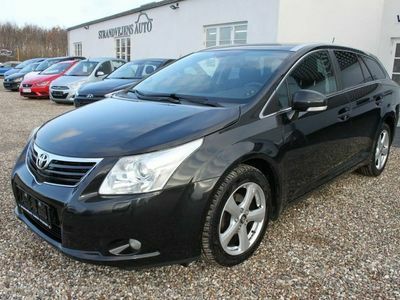 As per usual though, Toyota have hit a home run when it comes to their powerplants, if only they were a little quieter. 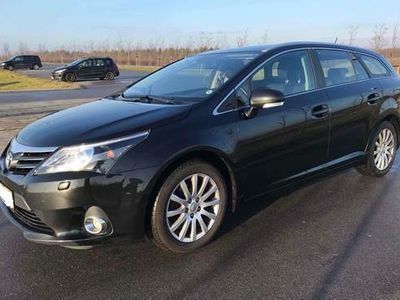 The driving experience for the Toyota is perhaps a different story. 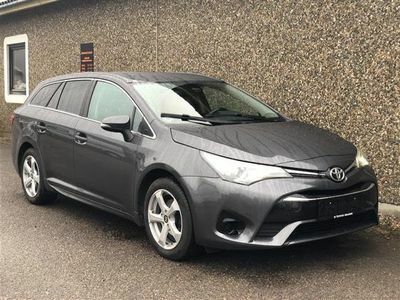 At speed it handles well and can navigate the corners with an admirable precision, however it is decidedly dull while it does so. 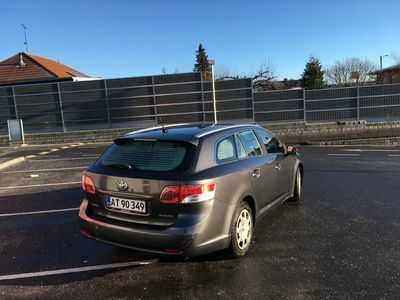 The lack of feedback is noticeable even at low speeds, and one feels a disconnect between the road and driver. 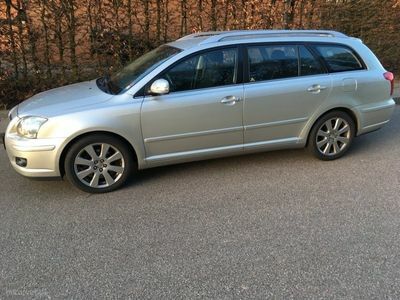 This hurts the Avensis because competitors like the Mazda 6 are genuinely pleasurable to drive. 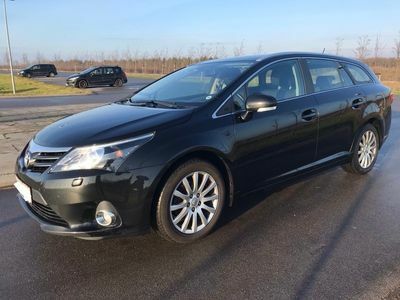 Lack of driver feedback is one thing but where the Avensis really falls below par is the ride, which is severely lacking in body control. There is just too much movement to take advantage of the confidence the handling offers, which is a shame. The dour minimal cabin cannot compete with the likes of Volkswagen, though added extras are plenty. 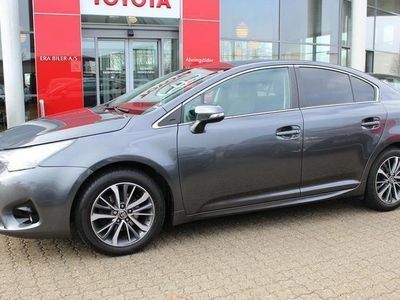 Toyota are still a watchword for generous specs at a good price. 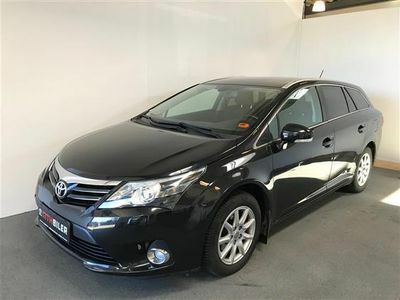 The Avensis is great in a straight line, and if you like your toys, there are plenty on offer. 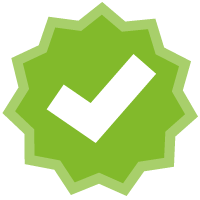 However, it is a let down on multiple fronts when it comes to the driving experience. 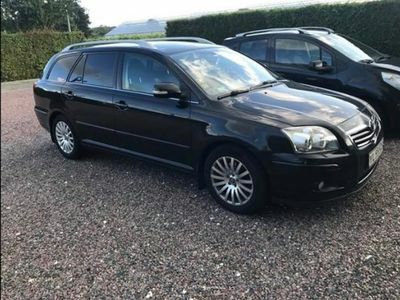 People looking for a more well-rounded package will pick the Ford Mondeo, those looking for a solid, stylish cabin will choose a VW Passat and anyone who values the driving experience has chosen the Mazda 6. 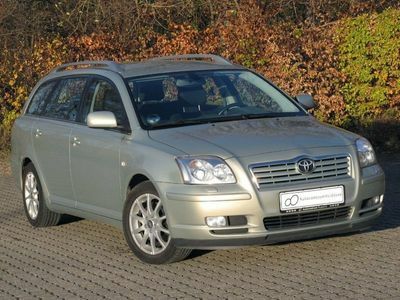 Even the Skoda Octavia beats the Toyota on running costs. The Japanese manufacturer will need to make many improvements with the next generation.